A photography graduate from Leeds Arts University has sold her first piece of work to award winning Yorkshire property investment and development company Rushbond Plc, which continually champions the arts. 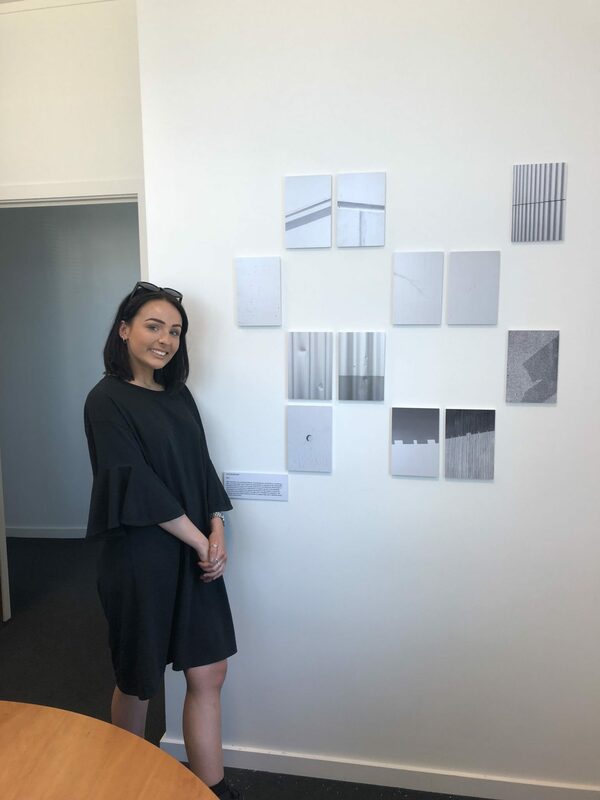 Architectural photographer Holly Braithwaite exhibited her work at the recent Leeds Arts University Show, which transformed the University buildings into large-scale exhibition spaces, giving talented students the chance to showcase their latest work. Representatives from Rushbond Plc attended the show and were immediately captivated with Holly’s work, which is named ‘Skin’. The concept of the project centred on examing often overlooked details of contemporary architecture. ‘Skin’ focuses on the surface of buildings and the connection between the internal structure and the human experience. Creative assistant, Georgina Maud, from Rushbond, said: “We pride ourselves on taking an imaginative and inspirational approach to property development, always investing in distinctive buildings and places, with personality and atmosphere. In order to support this creativity and foster raw talent in Leeds, it’s essential that businesses like ours encourage and embrace young skilled people such as Holly. “Her images reveal the connection between people and the built environment. This concept was particularly appealing to us because human experience is at the heart of our approach to creating unique and inspiring environments, and we are therefore proud to display Holly’s work on the walls of our offices”. Rushbond has also recently supported a group of talented product design students from Leeds Beckett University, by exhibiting their innovative table and chair concepts within the iconic Grade I listed Corn Exchange, where the firm is currently re-configuring and re-activating the Kitchen Yard on the lower ground floor. Rushbond sees Leeds Corn Exchange being an active player in the city for talented creatives to showcase their work with pride, whether that is art, poetry or even a creative approach to a cutting edge start up business, like the new addition to the balcony now featuring Plant Point. Illustration is also a subject Rushbond are interested in and partnered with talented, award-winning illustrator Tom Duxbury commissioning four pieces of work to adorn the hallways at The Cotton Mill in Skipton – a stunning development of 39 loft-style apartments with the former mill buildings playing homage to the skilled craftsmanship rooted in Yorkshire. Alongside this, the company is currently working with Leeds based illustrator Olivia Newsome on projects related to the Corn Exchange. Rushbond also installed the site metre high steeped vessels, by sculptor Ian Randall, as part of its £100 million mixed-use Brewery Wharf scheme in the South Bank.